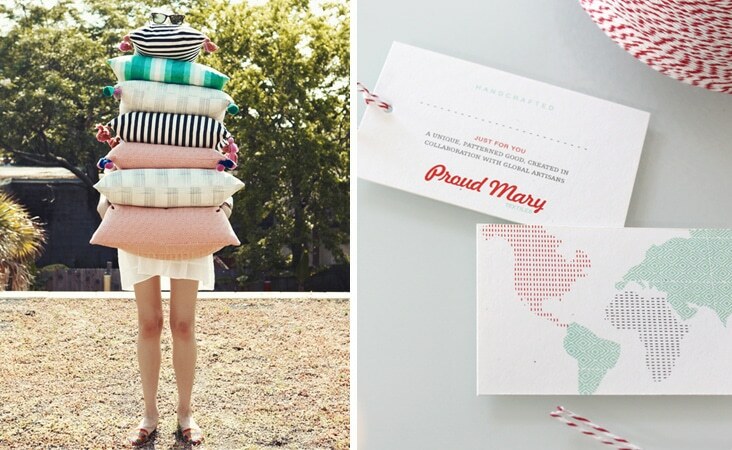 Proud Mary « Stitch Design Co.
We were thrilled to work with Harper Poe, owner of Proud Mary, to design tags for her new line of bags, pillows and neck ties. Proud Mary was started in 2008 when Harper returned from South America after volunteering with Habitat for Humanity. Harper’s inspiration comes from her love of the indigenous peoples and brightly colored textiles. 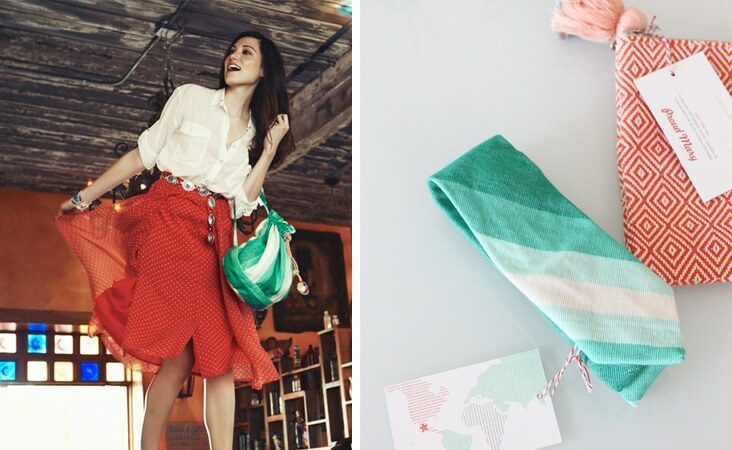 Proud Mary provides a global exploration of textiles, supports and empowers global artisans and their families while celebrating their beautiful work! We sought to reflect those unique qualities in the design of her tags. The front of the tags includes a line allocated for the name of the artisan to be handwritten in. The backs of the tags include a patterned map designed to showcase the country of origin with a custom rubber stamp. Sully Sullivan shot the rich product images for Proud Mary.